Shahzad Anwar, M.D. has joined the NorthBay Center for Primary Care in Vacaville. 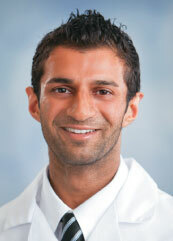 Dr. Anwar earned his medical degree at St. George’s University School of Medicine in Grenada, West Indies. He completed a residency in family practice at Family Medicine at Kaiser in Woodland Hills, Ca. Dr. Anwar is board-eligible in family practice. 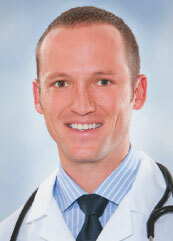 Andrew Brooks, M.D., has joined NorthBay Healthcare in Vacaville. An orthopaedic surgeon, Dr. Brooks earned his medical degree at the University of Oklahoma College of Medicine in Oklahoma City. He completed an internship and residency in orthopaedic surgery at the University of Arkansas for Medical Sciences in Little Rock. 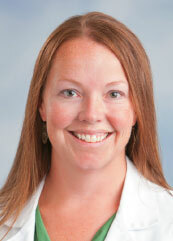 Dr. Brooks is board-certified in orthopaedics. Jonathan Lopez, M.D. has joined the NorthBay Cancer Center in Fairfield. A medical oncologist and hematologist, he earned his medical degree at the Uniformed Services University of Health Sciences in Bethesda, MD. He completed an internship and residency in internal medicine and a fellowship in hematology/oncology at Wilford Hall Medical Center in San Antonio, Texas. Dr. Lopez comes to NorthBay from David Grant Medical Center, where he was a staff medical hematologist/oncologist. He is triple board-certified in internal medicine, oncology and hematology. 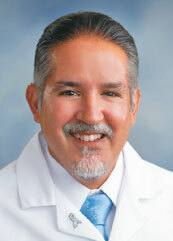 Alfredo Ovalle, M.D., has joined the NorthBay Center for Primary Care at VacaValley in Vacaville. Dr. Ovalle earned his medical degree at the University of La Salle, School of Medicine in Mexico City. He completed his residency in family practice at St. Elizabeth Hospital Family Practice Residency Program in Chicago. Prior to joining NorthBay, Dr. Ovalle was the medical director of Logan Square Health Center of Cook County, Illinois. He is board-certified in family medicine. OB/GYN residency at Akron General Medical Center/North-eastern Ohio University College of Medicine in Akron, Ohio, where she was also a clinical instructor of obstetrics and gynecology. Zachery Wood, D.O., has joined the NorthBay Center for Primary Care in Fairfield. Dr. Wood earned his medical degree at Nova Southeastern University and completed a residency in family practice at Broward General Medical Center. He is board-eligible in family practice/osteopathic medicine. In addition to English, Dr. Wood is fluent in Spanish. 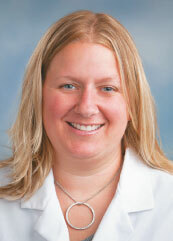 Kristin Woodbury, D.O., has joined the practice of Dr. Murray Woolf in Fairfield. An ear, nose and throat physician, she earned her medical degree at A.T. Still University of Health Sciences, Kirksville College of Osteopathic Medicine in Kirksville, MO. She completed a residency in otolaryngology/facial plastic surgery at Botsford Hospital at Michigan State University, and a fellowship in rhinology and allergy at the University of Pittsburgh Medical Center Sino-nasal Center.